Could you commit to lending a hand around the house for around 10 hours a week? Have you got a spare room you’re looking to put to good use? 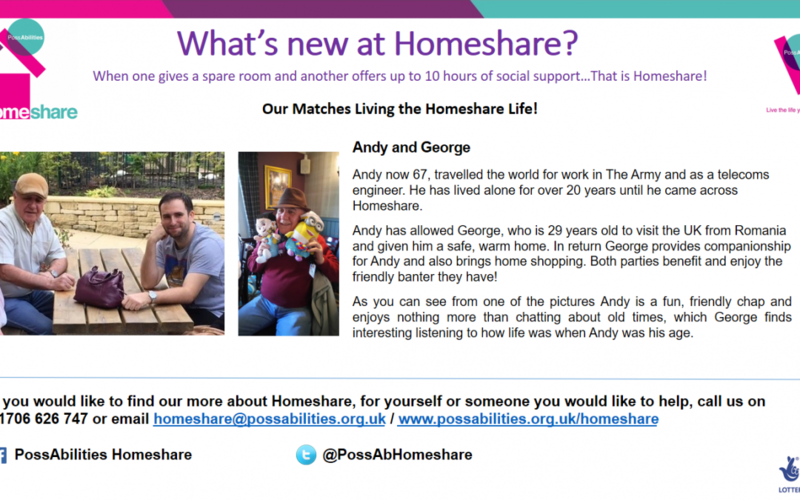 Call 01706 626747, email [email protected] or click PossAbilities Homeshare to find out more about opportunities in your area.